Tupperware has been around for 70+ years. I am an Independent Tupperware Consultant, my name is Sherry Free and my number is 904-814-4423. We have storage containers, pots and pans, freezer containers, knives, bowls toys for kids and much more. 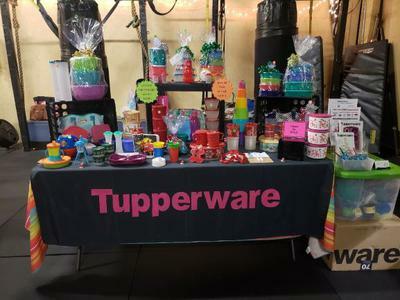 My website is http://sherryfree.my.tupperware.com. I host in home parties, online parties and events. I am willing to travel up to 50 miles from St. Augustine. Join in and write your own page! It's easy to do. How? Simply click here to return to Florida Vendors.